There are certain stories we tell our children again and again — stories of our own growing up and how we came to be who we are and do what we do. Stories that our parents taught us, stories that often include immigration and making it in America, as well as how life used to be in the “olden” days, feed our children’s imagination, giving them a sense of who they are in the world as well as resources with which to face their own daily struggles. Those stories are telling (so to speak!) what we want to transmit to our children, and through them, to the following generations. In our Torah portion this week, the plagues start, and it is a story that is to be told to our children and grandchildren. The story of our liberation from Egypt is our story of origin; it is how we came to be who we are as a people. In fact there are many Jewish rituals performed in the name of remembering that we were slaves in Egypt and were freed by God, including observing the Sabbath and the Passover Seder. Storytelling is vital in any family, but it is important to be aware that there are different genres of storytelling, all vital in their own way. There are fairytales and myths and stories of what children face as they grow up. There are family stories, and then there are the stories of our people, the foundational stories that make up who we are collectively and are transmitted from generation to generation. Stories, for example, about what the Israelites experienced as slaves in Egypt and how they were delivered from slavery can promote moral development and create a sense that we belong to something larger. These stories remind us that we are an ancient people who have survived to this day to tell the tale. 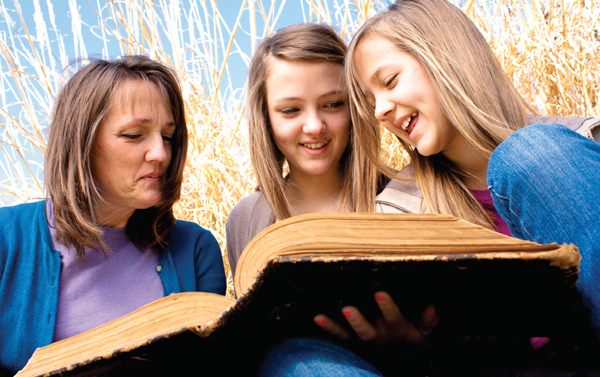 TALK TO YOUR KIDS about some of the foundational stories of your family and of the Jewish people. What are your favorite stories? What do you like best about your favorite? Which stories do you like to tell? Who are some of your favorite heroes? Why is it important that we continue to tell stories? 12: Let My People Go!